Nearly 50 children from the Scotlandville area have participated this fall in an educational enrichment program sponsored by Camphor Memorial United Methodist Church through a Fresh Expressions grant. Funding was awarded by the Louisiana Conference Board of Discipleship. “The Gumbo of Art, Music and Culture” was the theme for the five weeks of creative activities. 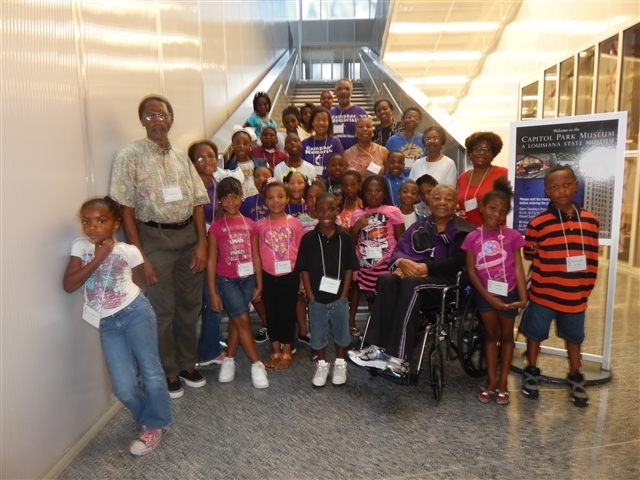 In August, the children visited the Southern University Visual Arts Gallery to see an exhibition by artists from Historically Black Colleges and Universities from around the United States. They also visited the Capitol Park Museum in downtown Baton Rouge, where they experienced the cultures of Louisiana through its music, festivals and cuisines. At the Odell S. Williams African American “Now and Then” Museum, the young participants saw many products and inventions attributed to African Americans. In September, the children made works of art during a workshop co-led by Southern University Visual Arts Professor and Curator Randell Henry, and Ronald Kennedy, retired art professor for Southeastern Louisiana University. Later in the fall, the group visited the Small Business Development Center at Southern University for a workshop on starting and running businesses that was led by its director, Will Campbell and by Eldridge Etiennne, Southern Teachers and Parents Credit Union President. Ann White, a member of Camphor UMC, presented information to the children about successful businesses across the United States that were started by kids. The participants wrote poems and stories under the leadership of Dorothy Davis, Southern University English professor and poet during the November workshop. In addition, pianist and music teacher, Connie Lee of Camphor UMC led the children in a session on drumming and music reading. An art exhibition and reception was held at the Scotlandville public library at the conclusion of the program, giving the community the opportunity to see the children’s works of art, to read and hear their stories and poems, and listen to music performed by the participants.